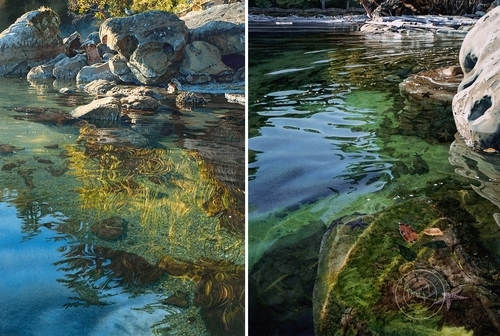 Watercolour paintings that look like photographs. 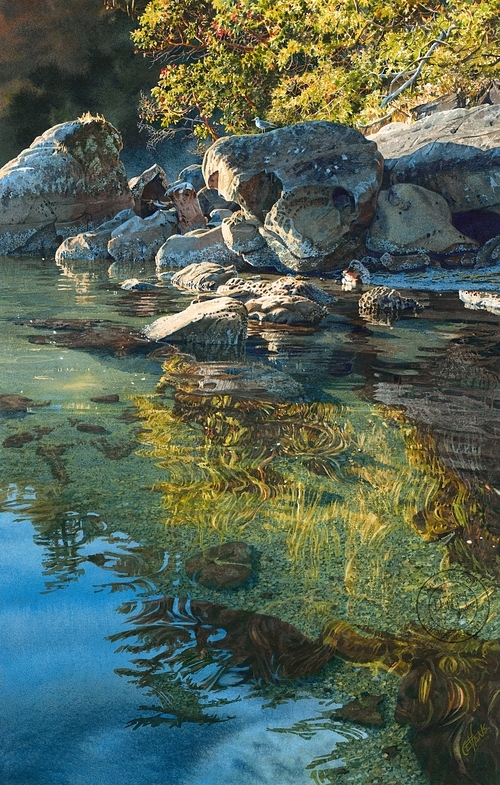 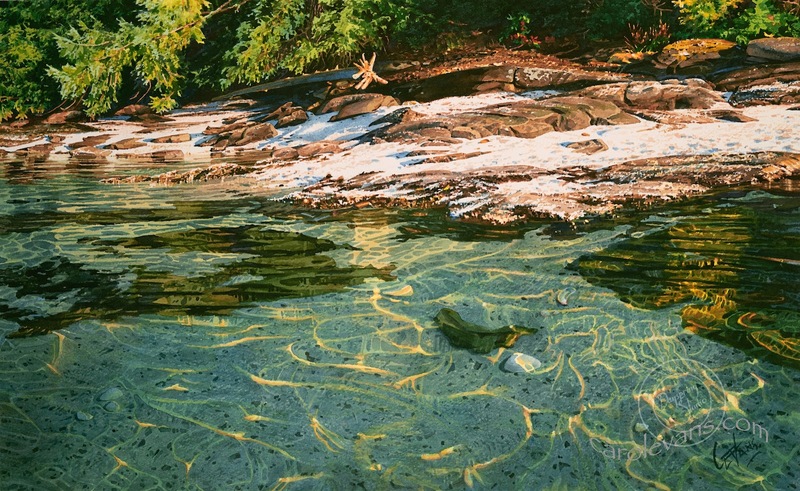 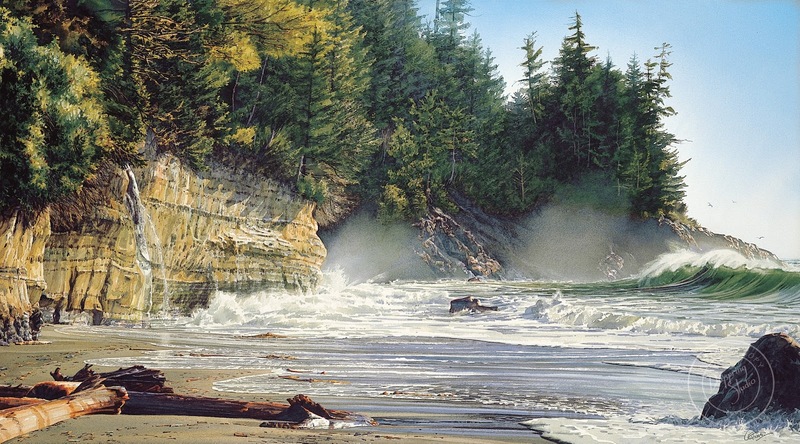 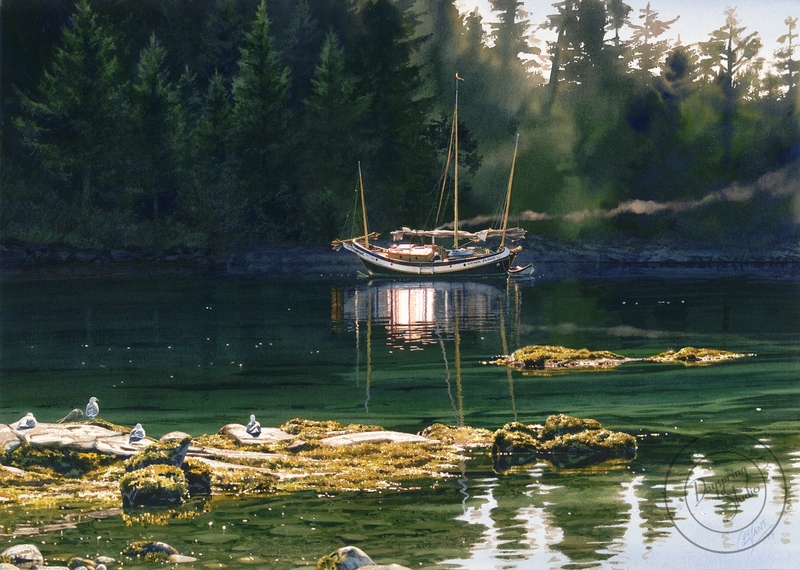 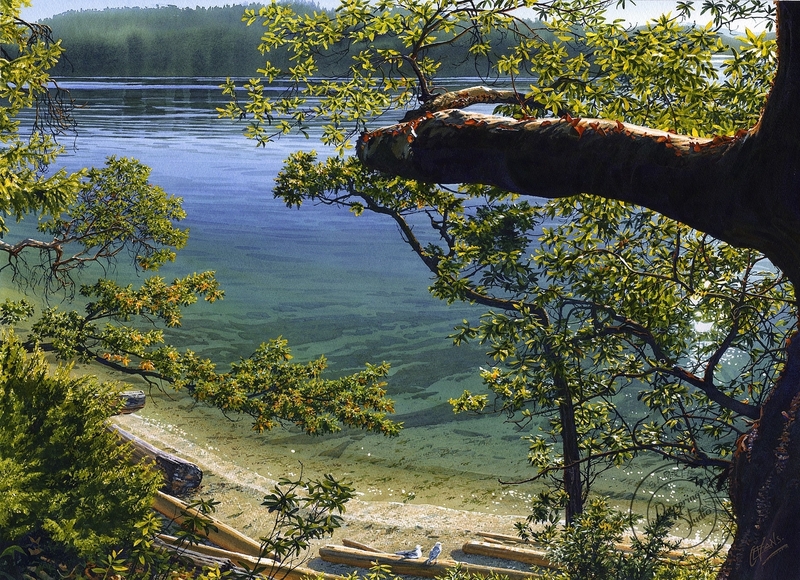 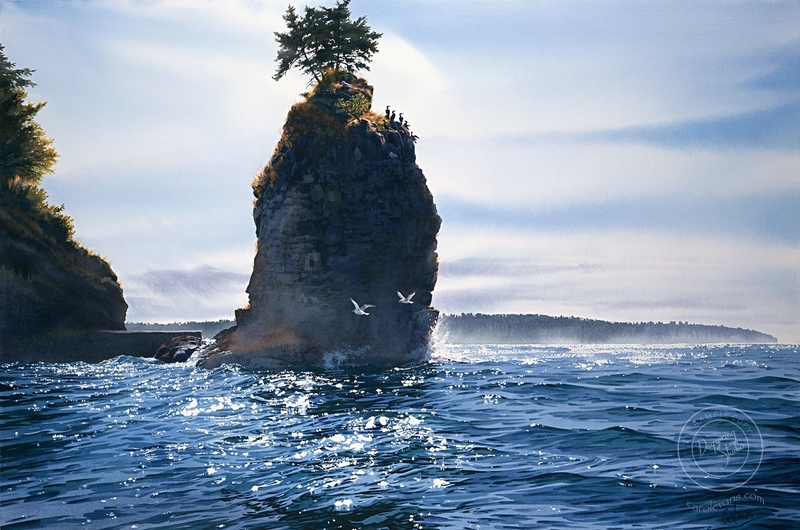 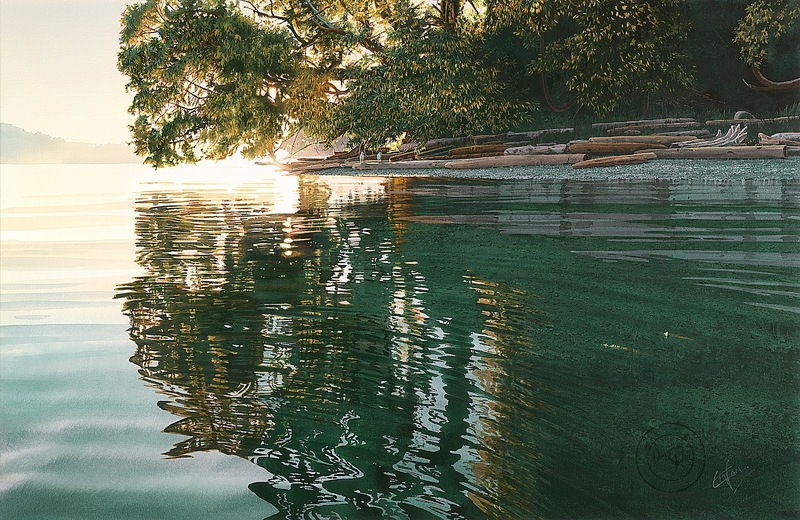 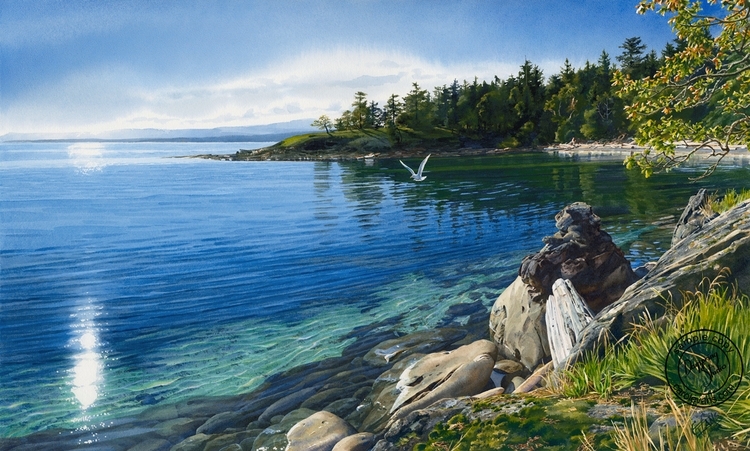 American Artist Carol Evans not only paints on a canvas but also paints a picture with words, when describing the beautiful features of British Columbia. 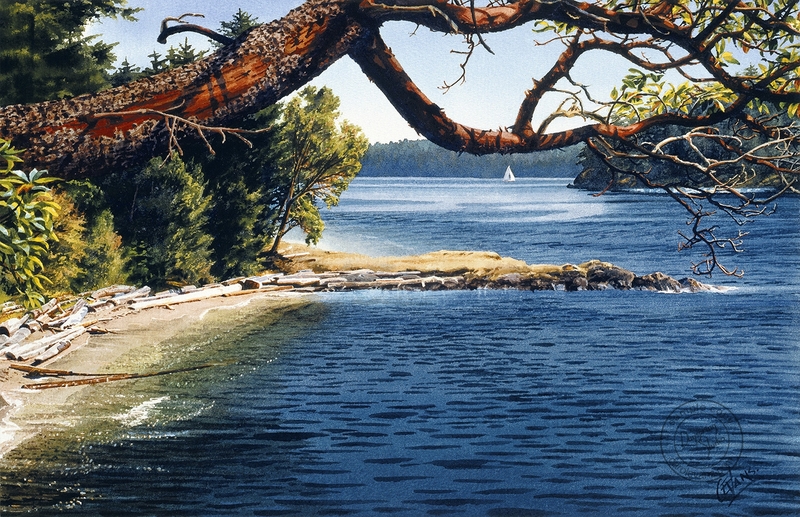 Here is just a small flavour of her descriptive qualities, "Watercolour paint is a natural medium for me. 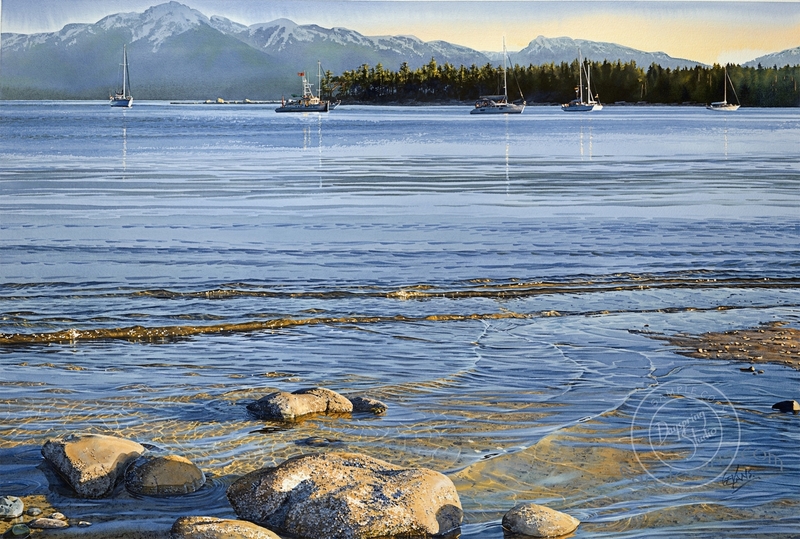 It complements and enhances the beauty of this coastal panorama. 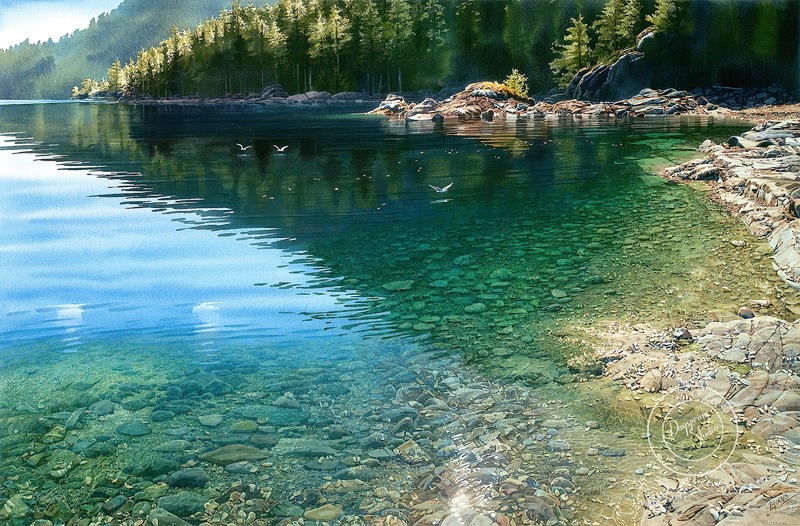 This region is, after all, a damp, misty part of the world a lot of the time. 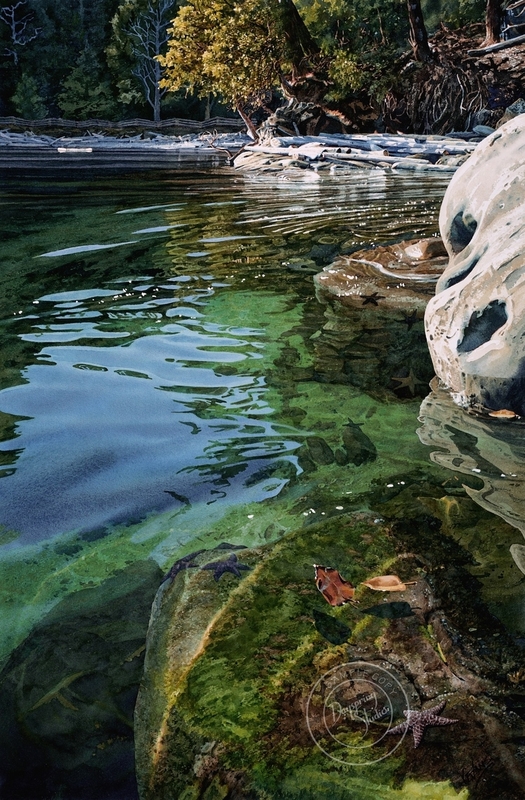 Water hangs in great silken sheets of fog across mountains and inlets. 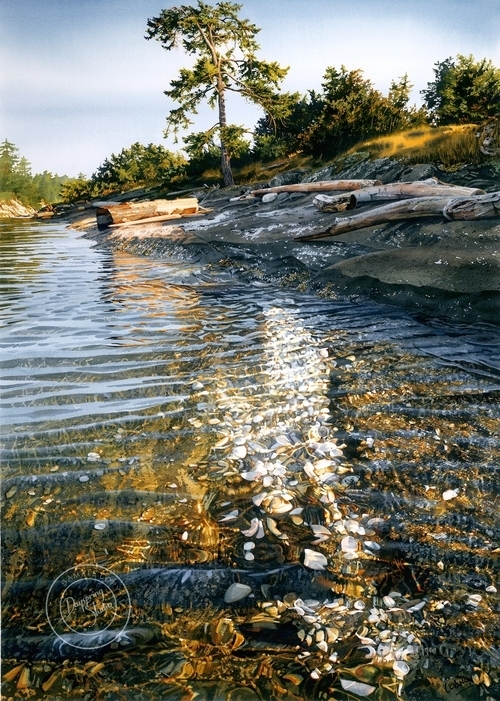 It ripples and reflects along the shore. 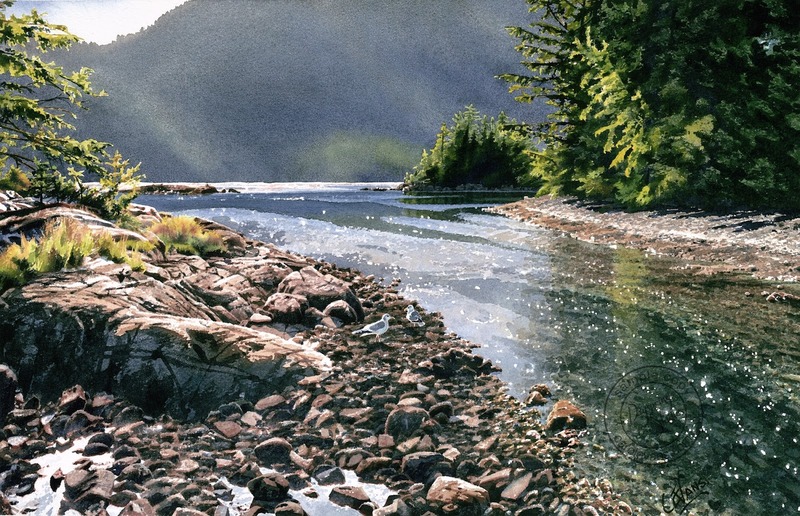 The wet, delicate, and raw subtleties of watercolour washes are ideal for conveying the gradation of light within clouds or a summer haze, perfect for suggesting shapes and forms barely visible in shrouded mist or streaking rain."